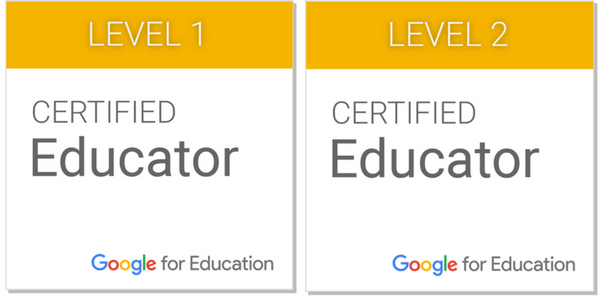 Should a grade represent only mastery of content and skills? If effort is graded should it be a separate grade or part of the entire grade? What does effort look like? Is it homework? Participation in class? Observations by the teacher? Does the student who does little work but easily masters content and skills be "penalized" because of their lack of work? Should those students who easily master content and skills be asked to do more extensive projects thus setting the bar higher to get the same grade as other students? For teachers in math and science, grading should probably be based on solely on mastery of content and skill. Arts teachers might be more likely to consider grading effort in a variety of ways from growth, daily observations and rubrics. At first I thought grading effort was a good idea but then I thought why? 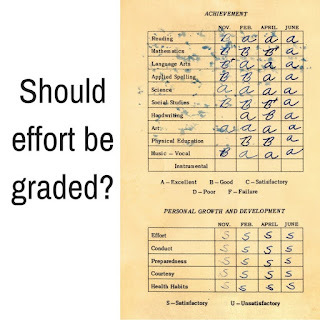 WHY would we grade effort? What is the purpose? Are we trying to simply acknowledge the work ethic in a student? Is a grade the best way? I am not a college admissions expert but I would think a letter of recommendation from a teacher about a student's character and work ethic would be more insightful than a number or letter grade for effort. If it is to appease parents, would a phone call or conference be more meaningful? 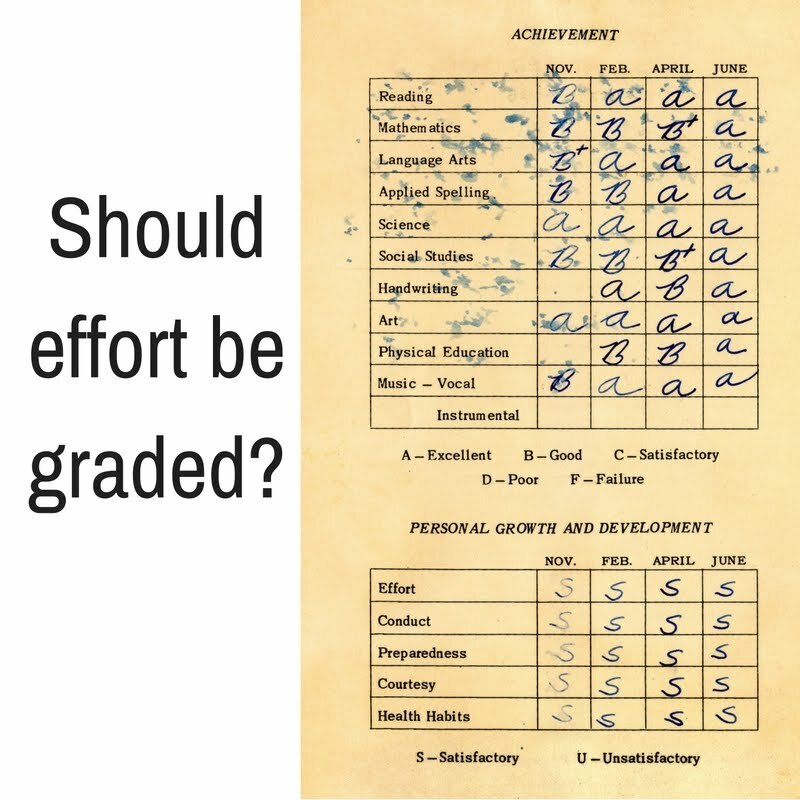 Is grading effort meant to motivate students? Let's face it, students who are motivated by a grade are already working hard. Is a grade the best way to motivate reluctant students? Or are students better motivated by building a relationships with students and giving personal feedback. Maybe it is allowing students to select topics they are personally interested in to demonstrate the skills and content that are to be mastered. Full disclosure, I am writing this post as a teacher who has worked almost two decades, teaching an average of 30 classes and more than 500 students a week. And I have never given a grade. 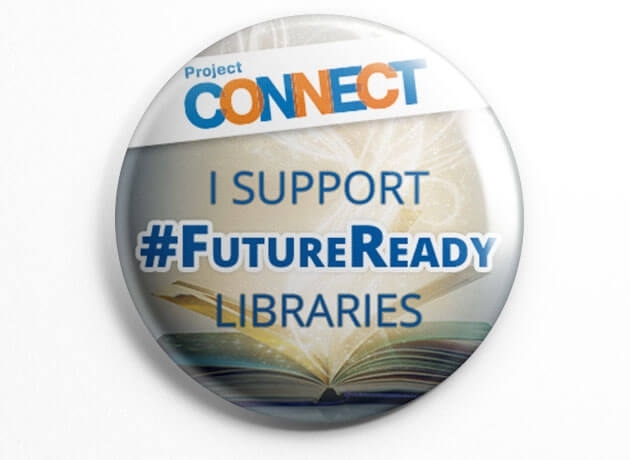 I have graded student work on occasion but library/research/digital literacy is not a separate grade on the report card. So how did I keep students interested and motivated? Well, obviously younger grades are easier to motivate - for the most part, they want to "keep their dear teacher happy." The older grades (4, 5 & 6) are where it was sometimes tricky. What worked for me was building a relationship based on respect with the students. Students were clear on my expectations from the very beginning. I also made sure the students knew that I genuinely cared about them and that I wanted them to succeed. My lessons were constantly changing with the students. I would talk to students about their interests and rework lessons to incorporate those interests in to the skills I was teaching. I also provided choice whenever I could. When teaching research skills, students chose a topic of interest to them, I guided them but did not dictate how the research was to be done and let them choose how they were to present their new knowledge. I found that allowing students to think SOME of a lesson was their idea gave them a sense of ownership and, in turn, motivated them. When students were invested in a project they were genuinely interested in, they seemed to go above and beyond, even though they knew I wasn't going to give them an official grade. I asked students to self-evaluate the product, their process and how I presented the project. They liked that I was asking them for genuine feedback as to how I could improve a project or lesson for future students. Students know I cared most about them learning the process of research and I did provide each student with personal feedback. I am not saying what I did was perfect but it worked for my students. 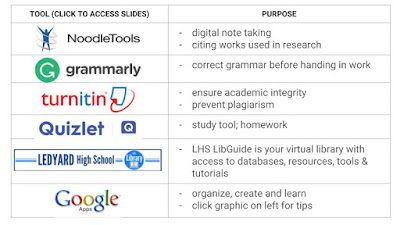 I also know that this would not work for certain content areas or even certain students or grade levels. What I do know was that, for me, talking to students personally, emailing their parents with words or encouragement, praise of genuine concern went a long way... and motivated students better than any grade would.